Notes, Replies, and Email, Oh My! Notes are great when you want to add something to a request's history, but want the communication to remain between your team. Your customer will not be aware of the messages sent through internal notes. Sending a note is simple. In the request details page, click "Note" on the bottom of the screen. When the text editor appears, simply type in your message and hit "Send". The message will then appear in the request's chat history. Your client will be unable to see the note in yellow. With Jar, there's no need to fire up your email to send a message to your client. You can email your customer directly from the request details page! To email, click on "Reply". This will open a text editor. Simply type your message and hit "Send". 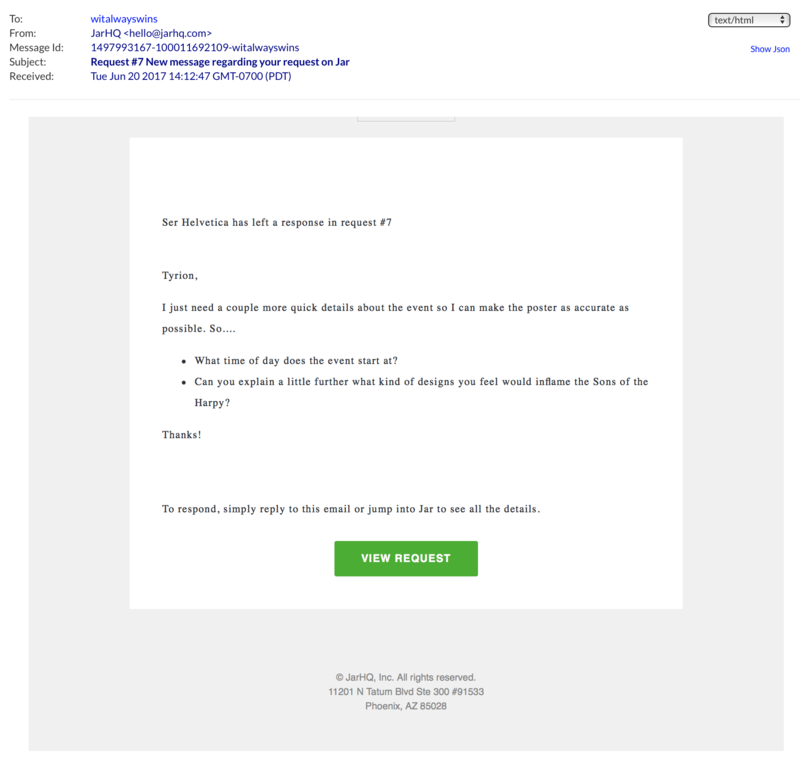 Your emailed note will appear in green on the request details page. 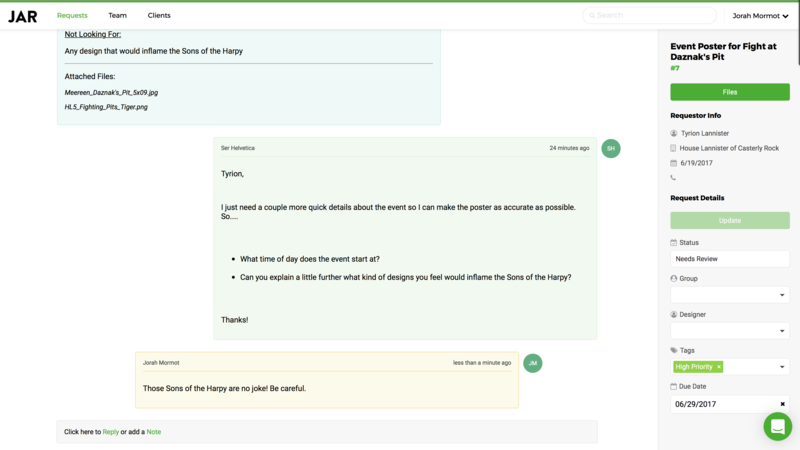 Your client can reply right in their email, or head over to the Jar app. There you have it! A quick introduction to communication in the Jar platform. 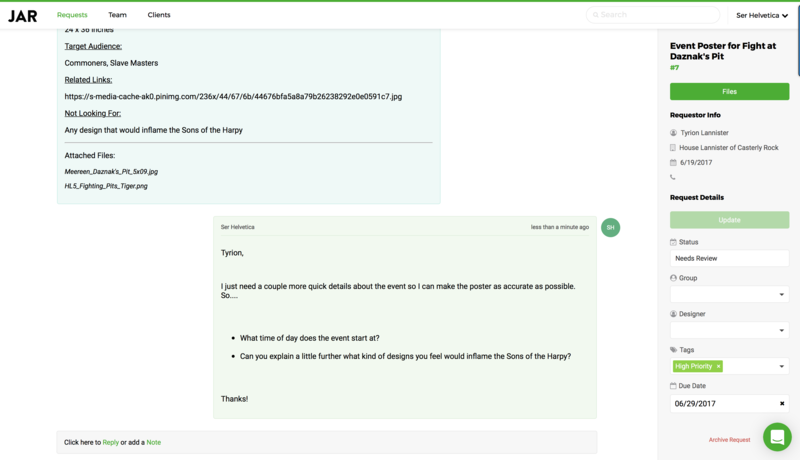 Replies, notes, and email integration keeps all the communication for a request in one place. If you have any other questions, be sure to check out the rest of our articles or the contact us page.